Mexico City (AFP) - A news photographer was among the five people found tortured and fatally shot in a Mexico City apartment, a journalism advocacy group said Sunday. 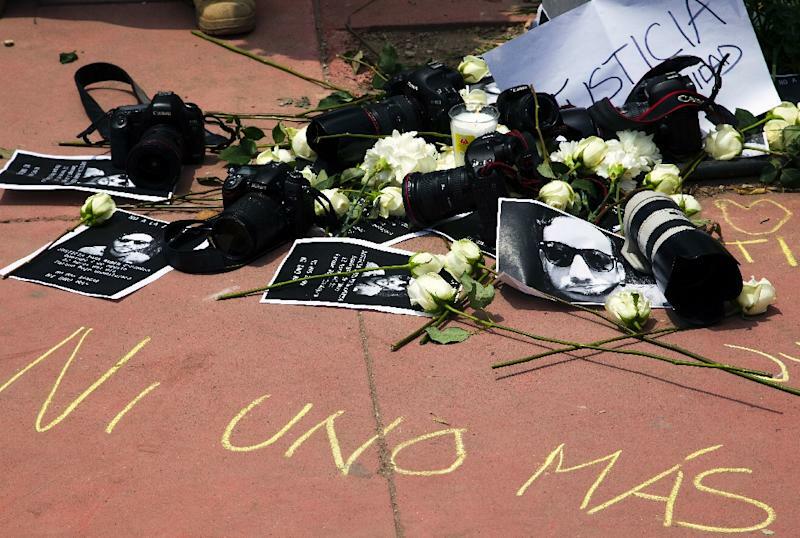 Ruben Espinosa, 31, a photographer with magazine "Proceso" was among the five victims found with bound hands, bearing apparent signs of torture, according to Articulo 19, a media rights group. The bodies were found Friday night in a home in a middle class area of the Mexican capital city after a call from neighbors, officials from the local prosecutor's office said. Early reports had said the victims were three women and two men, but officials now say that Espinosa was the only male killed in the massacre. As news of the murders spread, spontaneous protests sprung up in localities across Mexico, including a demonstration of about 100 people in the city of Xalapa outside Veracruz, where Espinosa lived and worked until recently. Reports said he had in the past several months fled the violence-ridden Gulf Coast city after receiving threats. 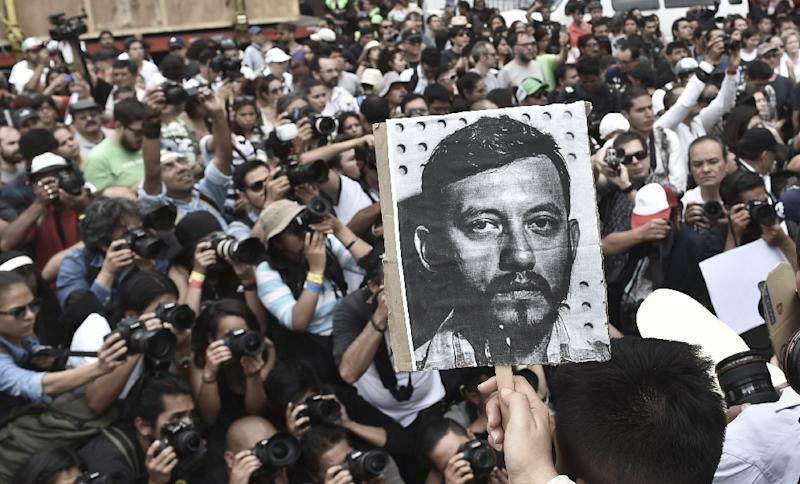 Espinosa's death marks the seventh killing of a journalist in Mexico so far this year. The identities of the four women have not yet been made public, and there was no immediate word on a motive for the killings. Mexico is enduring a nightmare of drug-related violence that has left more than 100,000 people dead and 22,000 missing since 2006, when the government deployed the military to fight the country's powerful drug cartels.